I’m hearing more and more business owners complain about their business not being seen on GPS devices like Garmin, TomTom and other in-car mapping programs. Not to worry. You can easily get your business listed on these devices. Here’s how. There are three primary ways you can get your business listed on these GPS devices. I encourage you to do all three. InfoUSA is a data aggregation company … among other things. They acquire business data from multiple sources and then make that data available to the world. Just go to InfoUSA and add your business information. If it’s already there, check for accuracy and allow them between one and three months to get the information out to the GPS manufacturers and mapping software companies. It’s important to remember that once a GPS device is installed in a car, it’s up to the cars owner to update the data file. This does not happen automatically. All future devices will/should include your updated location information however. My next stop would be the NAVTEQ Map Reporter site. Actually, if my only concern was getting on GPS devices, this would be my first stop. 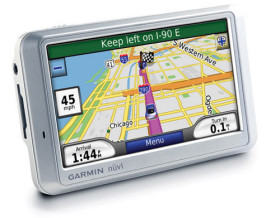 Navteq provides their information to Garmin and other sites. They also make this information available directly to the consumer who wants to pay for and update their mapping software. Go to NAVTEQ and follow their three easy steps. They will even keep you informed of when your POI (Point of Interest) location, your business, has been included in their software update. My third and final stop would be TeleAtlas. They make it very easy for you to add a new business location or point of interest. Again, go to TeleAtlas and add your information. The process is quick and painless. All of these sites will do research to insure that the information you provided is accurate. Expect a call from InfoUSA and a delay before hearing from TeleAtlas and NAVTEQ … if you hear from them at all. If you provide your business location and information to all three sites, there is a very good chance you will start to show up on GPS devices within a few months. And as you know, visibility translates into profitability. Do it today.